The main online privacy concern with the modern web is that you're basically being tracked everywhere you go. Traffic analytics-used commonly by most websites to get a better understanding of their audience, where they're from, what devices they're using, how much time they're spending on the website, what sub pages they're interacting with, and so on. Current location-commonly used by functional widgets like weather widgets, "near events", and so on. But also used for general tracking and data analysis. Facebook pixel-those are meant to connect your activity with your Facebook profile, thus giving Facebook a better understanding of what your behavior is and what to show in your news feed (including which ads you're most likely to enjoy). 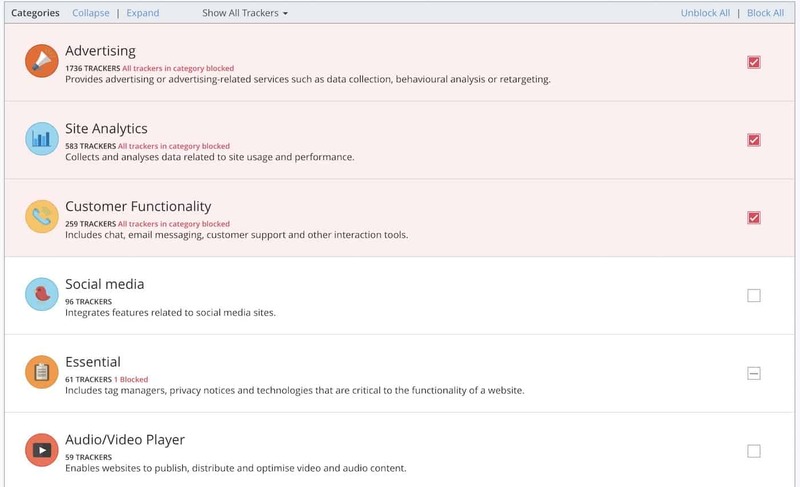 Media trackers-for example, if there's a YouTube video on the page, that video block is connected to your other YouTube activity, thus having an impact on what kind of videos YouTube is likely to recommend you next. One of the viable solutions is to use a tool like Ghostery. It's free and has versions for all major web browsers. The installation is simple, and it basically starts working right out the box. Various sources (e.g.1, 2) indicate that Google serves around 29 billion ads every single day. But that's only Google. What about Facebook? What about all the in-house ad inventory handled by webmasters themselves, without any ad network in between? It's not unreasonable to estimate that the total number might grow to even 60 billion. In simple terms, ads are everywhere. But their sole existence isn't problematic from an online privacy point of view. What is problematic is that ads are not "closed black boxes". It's quite the opposite - they take in a lot of data, "listening" to what you're doing and taking note of every click and every action you take. That data can then be used to follow you on the web and serve you even more targeted ads the next time around. All of the above is common market practice. It's not illegal to do any of it. In fact, all those tracking algorithms are considered clever for how effective they are. But then there's also the other side of the coin. 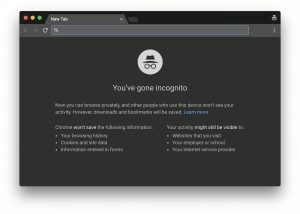 Some ads go even further and try to infect your computer with malware, trick you into installing unsafe software, or try getting accidental clicks by hiding the fact that they are ads in the first place (impersonating the design of the site they're on). For example, email in itself isn't the most private form of communication due to all the connection layers and different servers that participate in order to get the email to its destination. Using solutions like Facebook Messenger or direct messages on Twitter raises whole other privacy concerns related to those corporations' agendas and ways of handling user data. It wasn't that long ago when we heard about 32 million Twitter passwords potentially getting hacked and leaked, for instance. A much better solution is to use other tools for casual communication and even sensitive conversations. Tools like WhatsApp and Viber, even though seeming like something that your younger cousin might use, are, in fact, top-of-the-line when it comes to making sure that whatever's been said via the tool's communication lines remains private. Both WhatsApp and Viber employ end-to-end encryption. They even come with multiple mobile and desktop apps. This entry was posted in Contributing Authors, Gov/Mil News and tagged Computer Security, Cyber Security, online privacy, vpn by John Mason, VPN Researcher. Bookmark the permalink.